Firefly threatens to become one of the most insidious assault upon American life, where every action and every quiet moment becomes an opportunity to squeeze dollars out of everyday citizens. This article argues why it must be resisted at all costs. 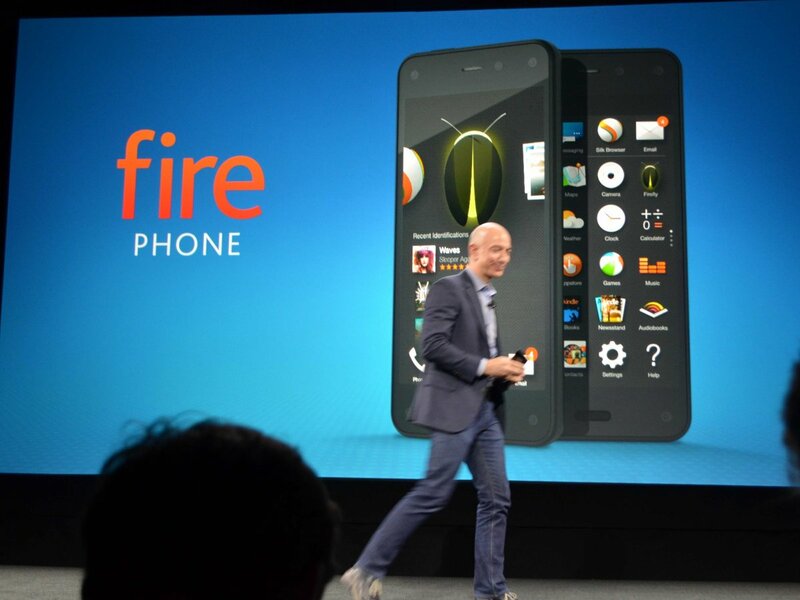 On Wednesday afternoon, Amazon CEO Jeff Bezos introduced Firefly, an app for its new Fire phone that can scan just about any object in the real world and, with the push of a button, allow you to purchase it from Amazon. As of today, 100 million items can be scanned and identified by Firefly. Firefly can read barcodes, a DVD cover, a QR code, damn near anything. It effectively turns every physical store into an Amazon showroom, where the customer can walk in, scan an object, and be on her merry way with an order waiting by mail or drone delivery. It remains unknown just how much Firefly tracks (such as scanned objects that the customer hesitates over) or what Amazon intends to do with the additional data it will connect through Firefly, but given Amazon’s $600 million contract with the CIA for cloud computing services, any sinister alliance is possible. What’s especially creepy is that Firefly can also recognize street addresses and phone numbers. Firefly intends to listen to any songs playing from your speakers and any movie screening on your TV, giving you the option to purchase these. Assuming it garners substantial mass adoption, Firefly threatens to become one of the most insidious assaults upon American life, where every action and every quiet moment becomes an opportunity to squeeze dollars. It is the most salient example of Amazon reaching ever so closer to its ideal of vertical integration — a practice famously and rightly halted in United States v. Paramount Pictures, Inc. (1948), when the Supreme Court ruled that movie studios could not own their own theaters and maintain the exclusive right to show their own films. The difference with Firefly is that Amazon doesn’t have to make the products and could argue this if confronted with any serious legal challenge. Amazon has just turned the entire physical world — the streets you walk on, the bedroom you retreat to, the shops you frequent — into a commercial marketplace. One can only imagine the fresh and awkward social hell to be experienced if a party guest points Firefly at someone wearing a snazzy dress. Rather than complimenting the partygoer on her sartorial flair, Firefly turns this into a potential sales transaction. One no longer has to seek exotic or bespoke items through languorous journeys in which one never asks for the time. With one simple app, the curatorial impulse and the quest for the obscure is traduced. Firefly threatens to deracinate the remaining tangible value of the physical world. It puts a price tag on taste, texture, hearing, sight, and smell. Will such quantitative objectification eventually extend to people? To credit poles that assess one’s financial worth along the lines of what Gary Shteyngart predicted in his satirical near future novel, Super Sad True Love Story? The question that consumers must ask themselves is whether they want to live in such a world and whether convenience is worth pointing a phone in someone’s face. It is quite possible that establishments will fight Firefly by enacting “No Phones” policies along the lines of bars that prohibit Google Glass. But if Amazon is willing to take such a bold lead with Firefly, to truly view all humans as little more than avaricious hosts for the gargantuan corporate parasite, other companies will surely follow its lead. We can Google any reference or half-formed remembrance with our phones. We can take photos of our families and friends. We can call anyone in the world from just about any location at a price and convenience that was inconceivable ten years ago. These are grand technological achievements that, on the whole, benefit the human race. Firefly is a crass betrayal of this. It will cause many specialized businesses or establishments (such as indie bookstores) that operate at a precarious profit margin to go under. It could artificially inflate homogeneous products while expunging the artistic value out of the esoteric. But most importantly, it’s the first app to overtly put a price tag on everything in the universe. Think about that. Do you really want your friends to scan all the items in your house and get an instant cash value for everything you have struggled for years to build? (And how much sneaky data will Amazon grab to get a collective value on any individual’s possessions? Could this be compared against credit reports? Could this prevent working people from buying homes or small business owners from establishing credit?) Do you really want one company to encourage and profit from this rapacity? That bald boorish billionaire has just signaled that he does not want to make your life better. He will stop at nothing to profit from you at every minute. Lex Luthor was never intended as a role model, but Bezos has set out to become just that. His efforts must be resisted by every thinking and breathing individual until the bright glow from his cretinous pate is permanently stubbed out.